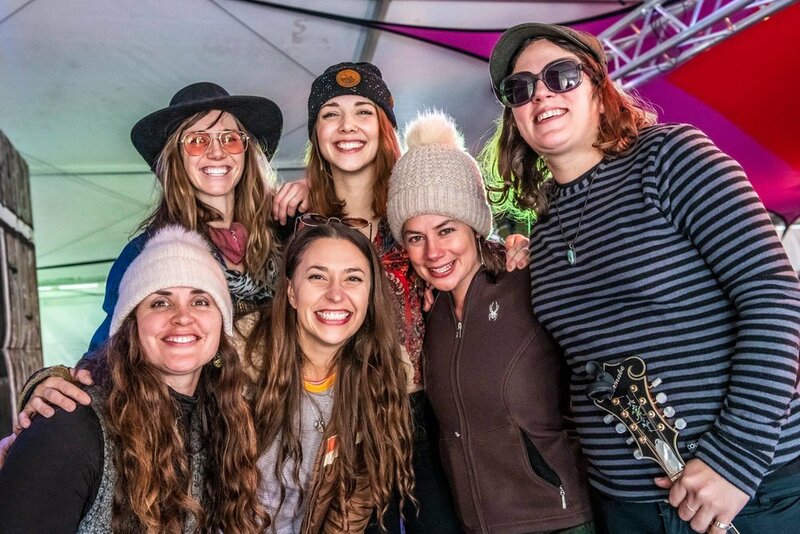 The highly-anticipated Tahoe leg of WinterWonderGrass kicks off on March 29th - bringing over 25 bluegrass, strings + roots artists to one of America’s most-loved ski resorts, Squaw Valley Alpine Meadows. 2019 marks the festival’s fifth year in Tahoe, and the lineup sure delivered. 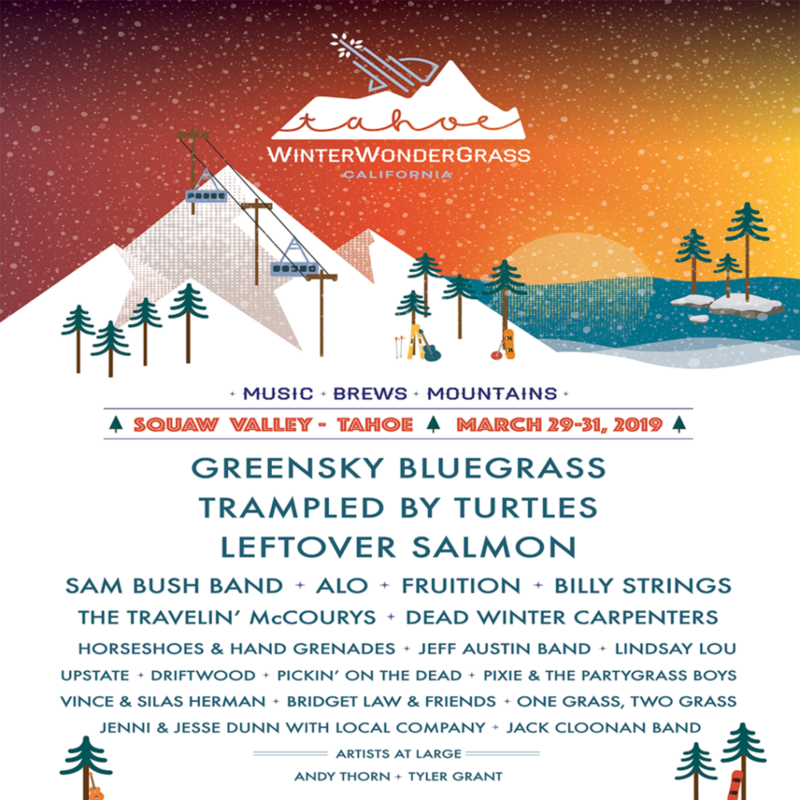 WinterWonderGrass Tahoe will bring in some of our favorite foot-stomping headliners to the mountain next weekend, including Greensky Bluegrass, Trampled by Turtles (our hometown heroes), Leftover Salmon and Sam Bush. They’ll also host ALO, Fruition, Billy Strings, The Travelin’ McCourys, Horseshoes & Hand Grenades, Dead Winter Carpenters, Jeff Austin Band, Lindsay Lou, Upstate, Driftwood, Pickin’ on the Dead, Pixie and the Partygrass Boys, Vince and Silas Herman, One Grass, Two Grass, Bridget Law and Friends, Jenni and Jesse Dunn with Local Company and the Jack Cloonan Band. Andy Thorn of Leftover Salmon and Tyler Grant will serve as artists-at-large. Needless to say, we expect some serious picking over the weekend. Would ya look at that lineup! 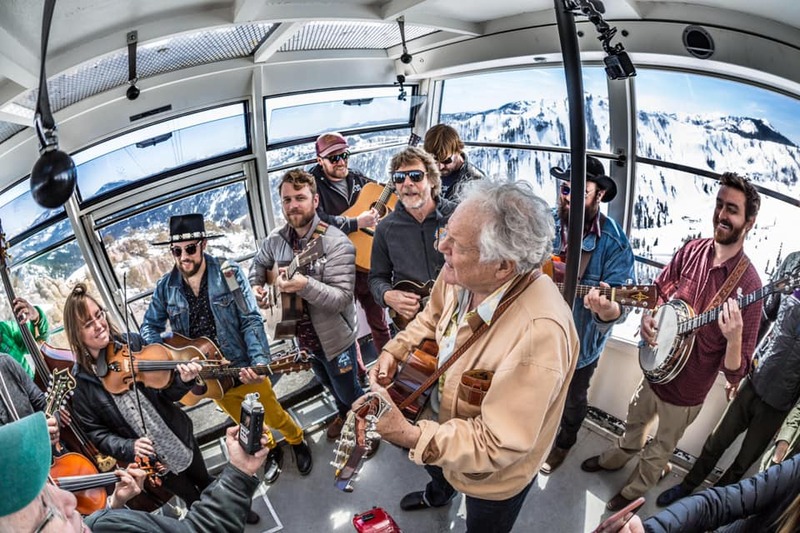 Though they’ve got a lineup filled with bluegrass heavyweights, WinterWonderGrass isn’t limited to music; it’s an epic celebration of mountain culture. Many adventure-seeking attendees will ski/ride the pristine trails at Squaw Valley Alpine Meadows throughout the weekend or attend free Vinyasa flow yoga classes via Wanderlust Yoga. Additionally, WinterWonderGrass keeps the local love flowing — bringing in California brewers to sample craft beers and ciders each day — and is committed to environmental kindness (ditching all single-use plastic + diverting over 85% of festival waste from landfills) through a longstanding partnership with Waste-Free Earth. We’re stoked to experience this mergence of music + mountain culture. To those attending, we’ll see you in Tahoe!